Look no further for a facial Reading, MA locals can trust for quality. We are proud to offer a multitude of unbeatable options when it comes to skincare. Your personal appearance is often times the first thing that people notice about you, so it is important that you are able to give off a good impression. At Embody Medspa, we can help you make sure that every aspect of your appearance is exactly what you desire. For an excellent facial Reading, MA residents can depend on, stop your search at Embody Medspa. We can help you treat your face so that it is always looking its best. Your face is usually the first thing others notice about you, and we are here to help make sure you are happy and confident with its appearance. 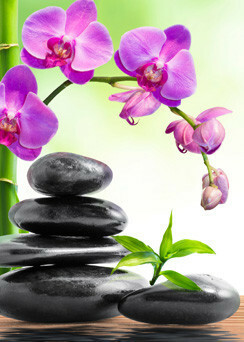 A facial from Embody Medspa will not only allow you to look your best; it will also improve your health. We can help you revitalize your skin so that it looks noticeably smoother and healthier. We know exactly what it takes to make sure that you are happy with the job that we do, and your satisfaction is always our top priority. We specialize in corrective facials that that work to cleanse, repair, and prevent a vast number of unwanted skin conditions. If you don’t think that you would benefit from a facial, think again. Our facials, Reading, MA patients know, are a great way to pamper yourself, while you improve the condition of your skin and your overall health. Located at 315 Main Street, Suite 201 in North Reading, MA, we offer an extremely convenient spot for locals to stop by and receive top-notch skin care treatment. If you are looking for something other than a facial, you can check out our full list of spa and skincare services. We are highly experienced in all things wellness and cosmetics, and we guarantee that you will be happy with all of our work. It is our goal to make sure you are looking and feeling great at all times, and we will not rest until you are completely satisfied with the services that we provide. Give us a quick call at (978) 207-0345 to speak with our experts about potential services. When it comes to the area’s best option for an energizing, repairing facial, Reading, MA residents can depend on the team at Embody Medspa.